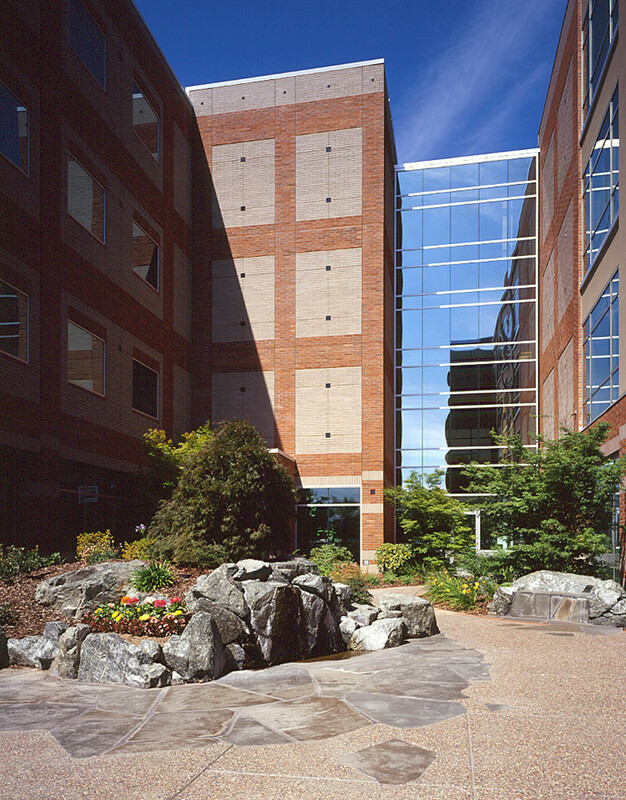 Galbraith & Associates provided planting, irrigation, and grading plans for the multi-phased additions to Providence Medford Medical Center. Galbraith & Associates provided planting, irrigation, and grading plans for the multi-phased additions to Providence Medford Medical Center. The additions affected approximately 10 acres of the site with new parking lots, walkways, heliport, court yards and medical offices. An overall Master Landscape Plan for this 25- acre Medical Center was designed. Existing trees, landscaping, irrigation, and maintenance were evaluated and a plan was designed with recommendations for new trees, improving the condition of the existing lawn, plant selection and annual flower color locations. 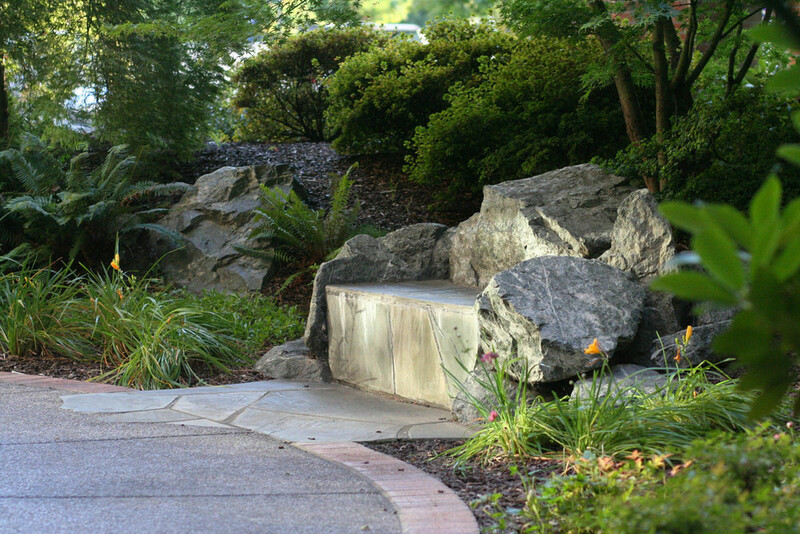 A Landscape Maintenance Manual was written outlining the maintenance and time requirements for the Medical Center landscaping, and proper water management of the irrigation system. Specific objectives for the design around the Cancer Center included preserving existing trees, conserving water, providing outdoor spaces and to create a Healing Garden with pathways, benches, and water features.